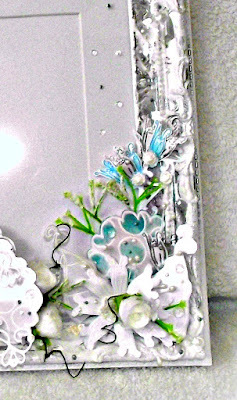 It's a new challenge over at "Love 2 Create Challenges" and as always the theme is "anything goes, mixed media inspired". For this challenge I have upcycled a plastic frame which was a shocking monstrosity (although you could see its hidden beauty) which I found in one of those £ shops. 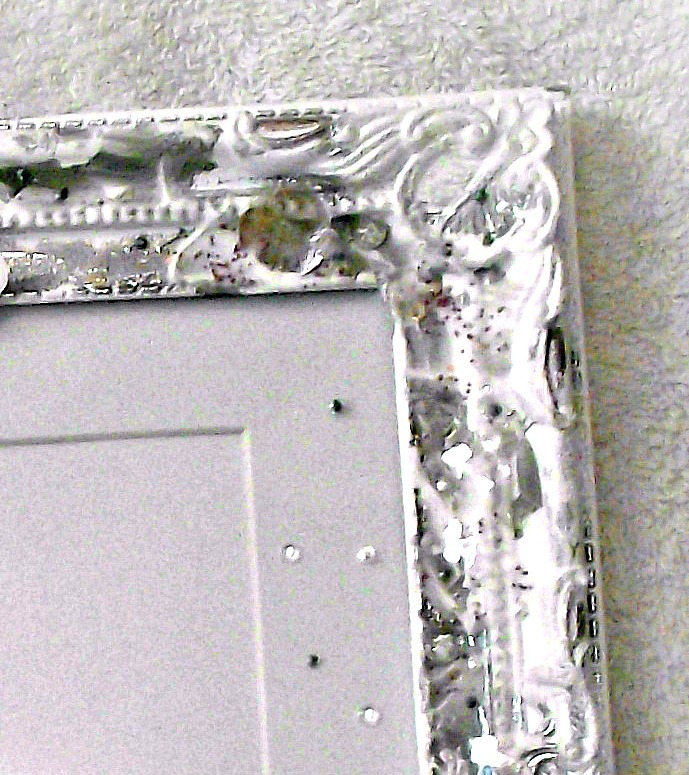 When I touched the outside edge of the frame, flakes of paint fell away. However as I want a distressed look to my frame, these missing pieces just added to the character. I began by covering the frame in white gesso and applied this with my fingers to give a roungh finish. When dry, I silver metallic pan pastel to the inside edge and some of the raised partsd. I also added coarse white pearl pan pastel medium too to add a shimmering look. I sealed the pan pastel with a layer of Maimeri Matt Gel. 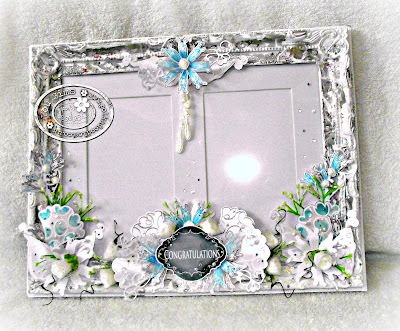 Next using the Magic Garden stamp set I began making my floral elements. 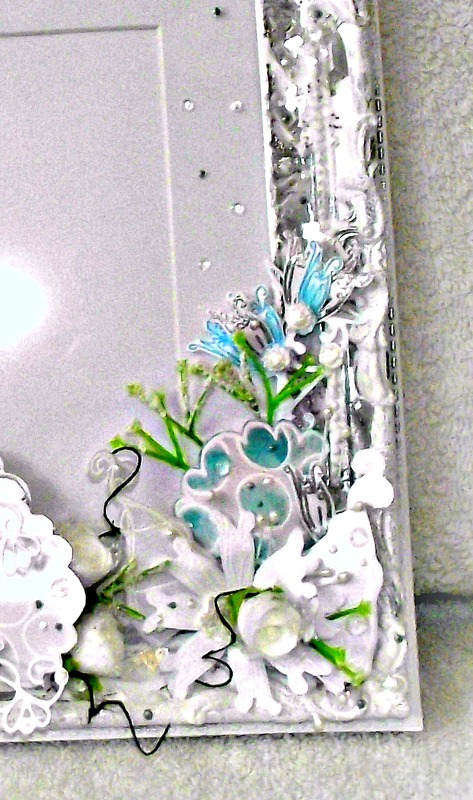 Some of the flowers have been stamped on vellum, some on pearl card and other on water colour card. All were embossed with white embossing powder before being coloured with pan pastels. 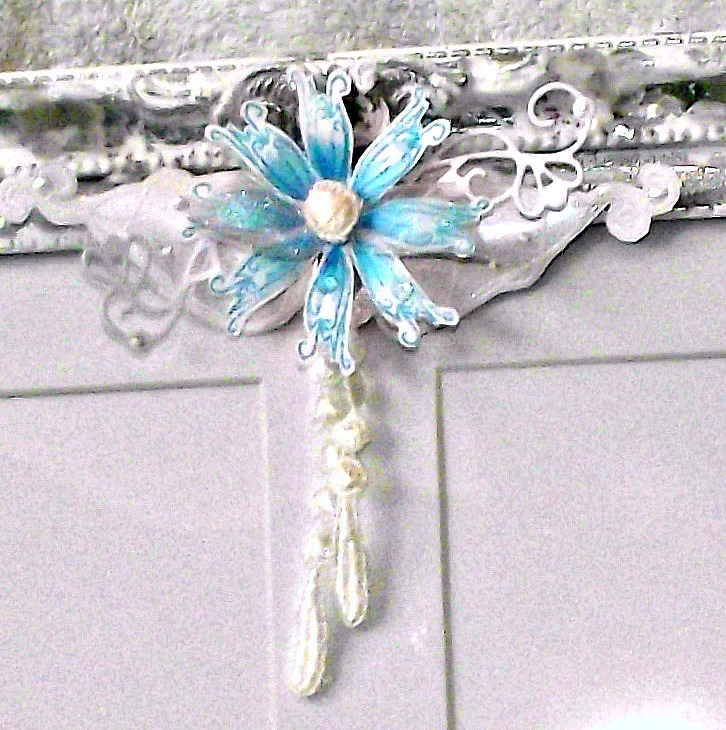 I have layered all the elements and added extra ribbon, lace, die cut flourishes and paper flowers. 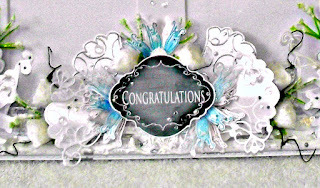 The sentiment was printed from the matching CD, Magic Garden Soup Stamp crafting kit and placed in the centre between the two mounts. I do love how an unloved bargain can be transformed ... now to get on to the drawers full of items I have either bought, been given or found and give them a long over due make over too. I'm sure I can't be the only crafter who has drawers full of items they want to alter ...? Love what you have done with your up-cycled Frame, looks great. Nice work. This is stunning loving all the texture and effects you have created - love it. 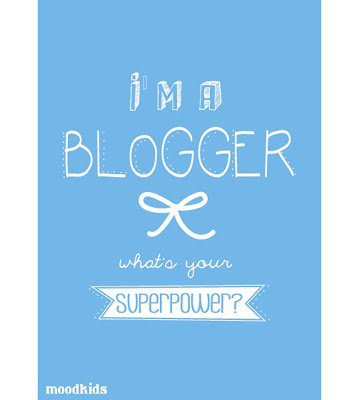 you for sharing with us over at Rhedd's Creative Spirit this month and hope to see you again in future challenges. 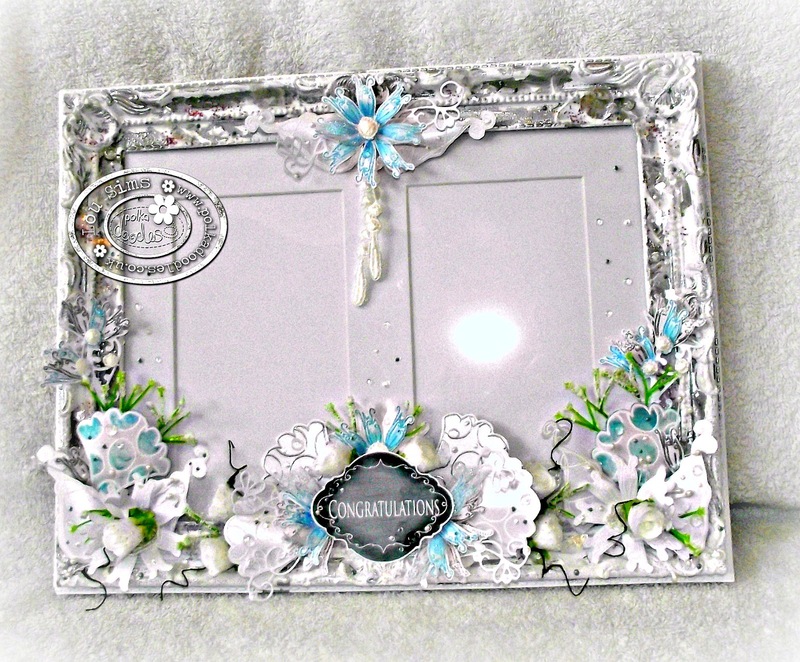 An elegant altered frame! thanks for playing along with us at Creative Artiste! 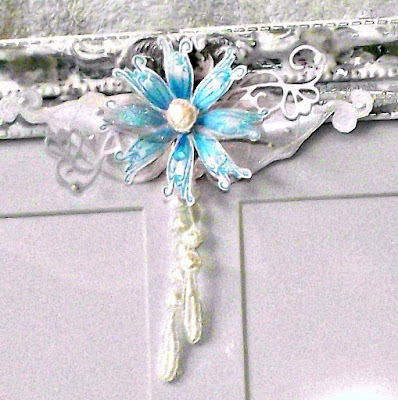 This is a really lovely upcycle. Thanks for sharing with Rhedd's Creative Spirit Challenge this January. A fantastic upcycled frame, love the attention to detail. 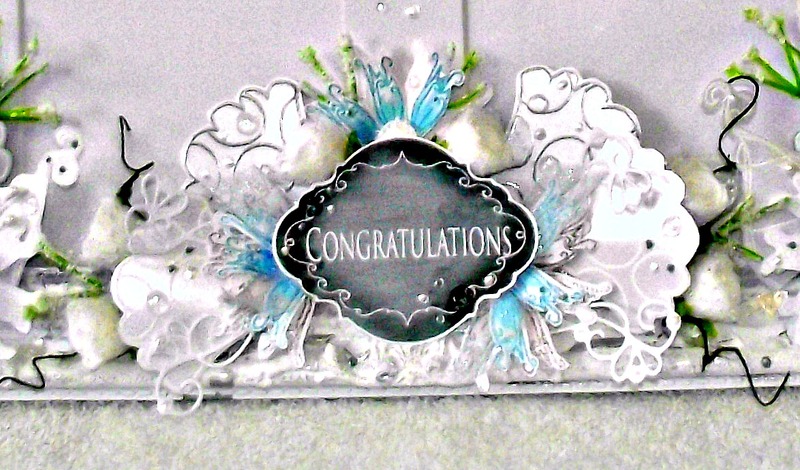 Thank you for joining our Anything Goes challenge at Making Memories Crafting. Hope to see you again soon. This is an amazing transformation Lou, love it.